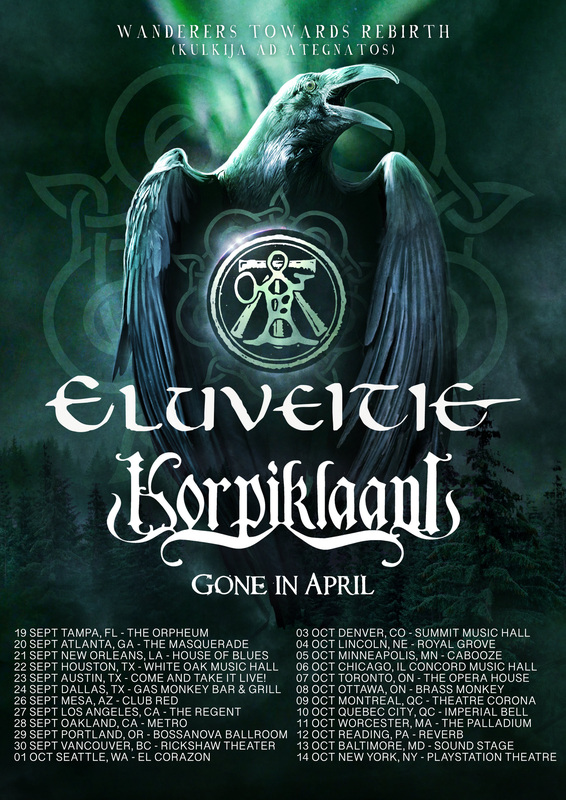 Home > NEWS > KORPIKLAANI Announce North American Wanderers Towards Rebirth (Kulkija ad Ategnatos) Co-Headlining Tour with ELUVEITIE! Announce North American Wanderers Towards Rebirth (Kulkija ad Ategnatos) Co-Headlining Tour with ELUVEITIE! 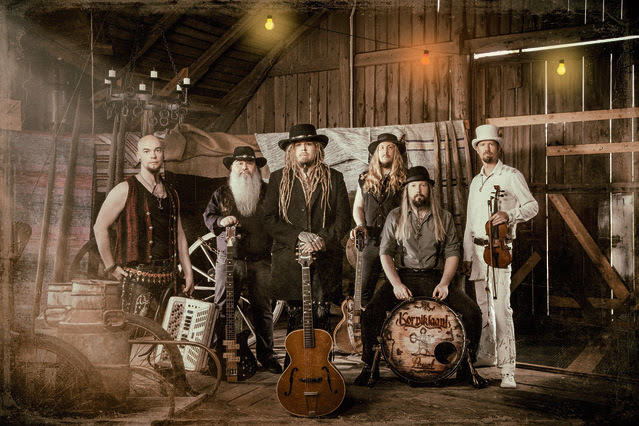 Finnish Folk Metal Superstars KORPIKLAANI released their current studio album titledKulkija (“Wanderer”) on September 7th, 2018 through Nuclear Blast Records. They released a special tour edition, which doesn’t only include the regular songs, but also a bonus CD titled Beer Beer, which will only be available in this physical package. The aforementioned disc includes 14 versions ofKORPIKLAANI’s iconic song ‘Beer Beer’, graced by the likes of Christopher Bowes (ALESTORM),Steve “Zetro” Souza (EXODUS), Andreas “Gerre” Geremia (TANKARD), Jesper Anastasiadis(TURISAS), TROLLFEST and many more of their friends’ bands and musicians.